Today’s guest blog post by Colin Masson, Global Industry Director, Manufacturing, Microsoft Business Solutions, picks up the topic of intelligent operations. — We touched on intelligent operations recently when we discussed how manufacturers can make the internet of things (IoT) part of their business and growth strategy and how some of them are already using Microsoft technologies such as the Azure Data Factory to move forward in the IoT era. 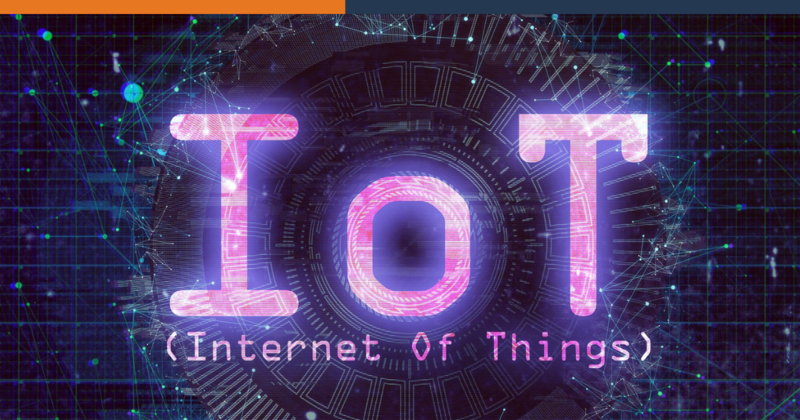 In intelligent operations, the IoT becomes a key connecting element that links manufacturing, R&D, the supply chain, and marketing, sales, and service activities. 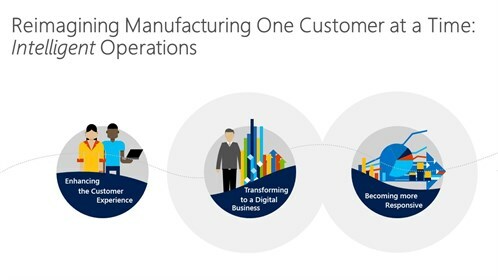 At Microsoft, we are helping manufacturers transition to intelligent operations by focusing on three key areas of innovation: Creating the best possible customer experience; transforming companies into digital businesses; and becoming more responsive. Discrete manufacturers already deploy smart connected products with customers that send data regarding their workings and utilization to the manufacturer to drive product improvements and initiate timely services or support an equipment-as-a-service (EaaS) model. However, they can also become an integral part of the customer experience and play a role in the customer journey as it moves through many moments of truth whenever the customer has any sort of experience with the manufacturer and product, including changing usage scenarios and points of interaction and decision. 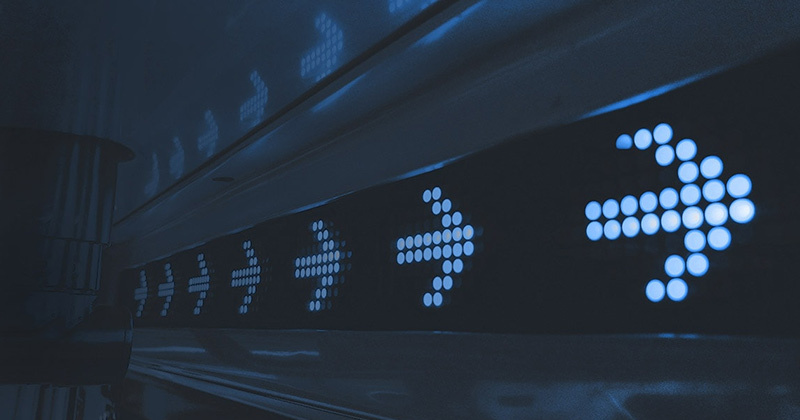 By means of their smart connected devices, manufacturers have a front row seat for observing the customer journey, with opportunities to become proactive when it is of value. From the customer’s initial selection, through the use, upkeep, and improvement of the product in its subsequent iterations, manufacturers need to better understand customers’ motivations, requirements, and preferences, so they can drive lasting improvements throughout the customer journey. This becomes even more effective if they pay attention not just to their smart connected products and the industrial IoT, but also include social listening and all customer interactions with the company’s sales and service reps, and through personal interactions, social media, the call center, email, or at events. If customer-facing employees can interrogate devices and check on product performance before or during every customer interaction, they can help move the business transformation forward by delivering a great brand experience and responding to emerging customer needs that may not even have been communicated yet. Opening a window into the customer’s or even the customers’ customer’s experience, smart connected products are helping manufacturers overcome silos where customer insight and the ability to act on it exist in isolation or only for a small handful of people. 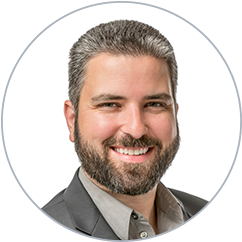 They are also changing the role of traditional sales channels, reducing the dependency on the distributors and resellers that may have had privileged access to the customer at one time. Bypassing mediation through the channel, manufacturers can reimagine their product design and delivery through the customer journey and find new ways to understand and maintain customers. Distributors, in turn, can find their own ways to take advantage of the industrial IoT and build closer, more rewarding connections with manufacturers and customers based on the customer journey insights they can gather. As companies closely connect with the customer experience and decision journey, they can adjust their service-level agreements to deliver the best value experience, which may well combine optimal asset efficiency with minimal downtime, ensured by proactive asset maintenance, with steadily improving designs and better performance driven by the actual requirements of individual customers. Based on an understanding of the real customer experience, engineer-to-order (ETO) and manufacture-to-order (MTO) business models can become more profitable, efficient, and affordable, and play a larger role in manufacturers’ growth. As a result, we see more individual, strategic customer relationships with specific, meaningful conversations about needs and services. 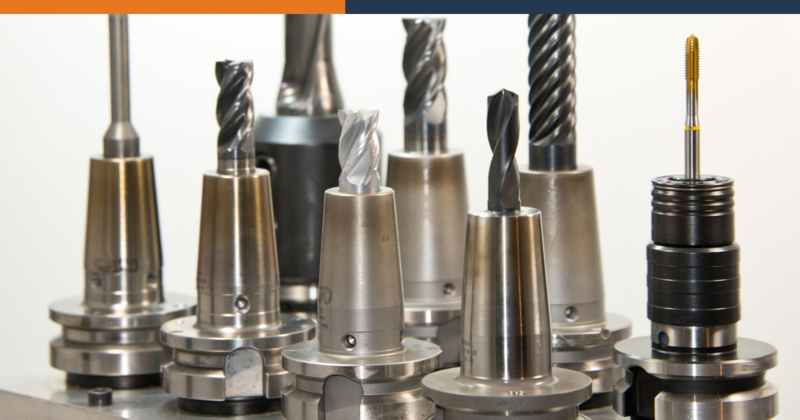 Customers benefit by receiving more responsive, valuable services from manufacturers that truly understand them. Appropriate business rules need to determine the extent to which customers will share information about their equipment use and business activities. Practical, sensible guidance for keeping IoT-based information-sharing secure already exists, published recently by the U.S. Federal Trade Commission (FTC). 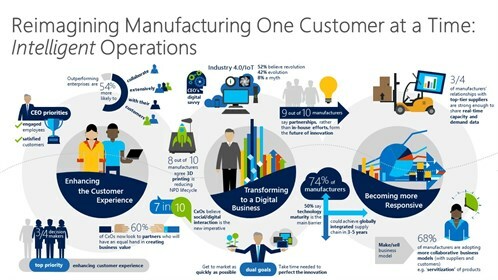 Microsoft and its most innovative, creative partners help manufacturers re-imagine their business with the customer journey in mind. We provide the tools to access, combine, and understand such sources of data and insight as IoT polling results, customer histories, social listening, CRM, ERP, sales statistics, manufacturing developments, material and energy cost trends, R&D, marketing campaign responses, and more to help businesses get close to their customers and deliver an engaging, meaningful sales and service experience. For some manufacturers, that may take the practical form of a unified service desk or a revised business model with strong digital channels and a re-imagined brand. Consistently delivering this level of customer experience with the right level of responsiveness requires a business transformation into a digitally enabled enterprise that makes it possible for manufacturers to take prompt action on their insights into customer journeys and decisions. Increased agility in manufacturing and supply chain management is essential for the responsiveness of the digital enterprise, where employees confidently make firm customer promises that require prompt action. Business systems need to have the versatility to support the customer-centric, fast-moving processes in such areas as inventory and quality management, and PLM change management needs to translate customer requirements into effective designs in as close to real time as possible. Microsoft Dynamics ERP together with solutions such as To-Increase Advanced Maintenance and Service, informed by data from the industrial IoT of smart connected products and real-life customer insight, can support accurate forecasting, optimal productivity of assets, profitable service agreements, and dynamic manufacturing operations that incorporate close collaboration with customers and the supply chain. Technologies such as Microsoft Kinect, which supports movement, voice, and gesture recognition, and Microsoft HoloLens, the holographic computing capability in Windows 10, can come into play here. There are many potential applications for them in demonstrating and modeling customer experiences, facilitating equipment services, designing and improving complex products, and more. What’s more, through Industry Templates for Microsoft Dynamics CRM 2015, we help manufacturers, distributors, and other companies to delight customers. Mobility and anytime, anywhere access to business data and capabilities for customer-responsive action are also essential to realizing the customer-centric digital enterprise. Right now, there are many exhilarating developments when it comes to the IoT and creating digital manufacturing organizations. Let’s continue the conversation. Find me on Twitter at @colinmasson, or connect with me on LinkedIn. Get the news on Microsoft’s IoT platform and follow @MicrosoftIoT on Twitter. Get in otuch with me or contact To-Increase.